Boost the impact of your print brochure with z-fold brochure print services from PGprint. 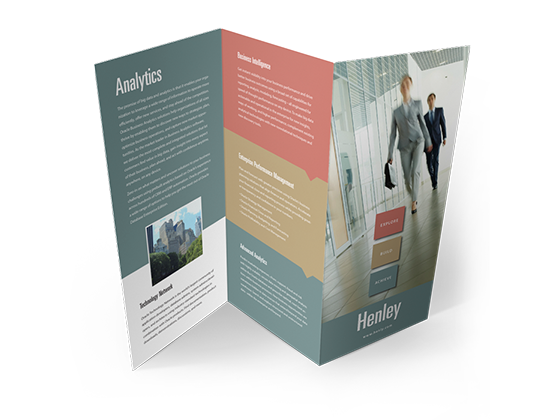 Our z-fold brochures are simple, but pack a powerful marketing punch. Z-fold print brochure services at PGprint are a powerful way to change your brochure from boring to brilliant. 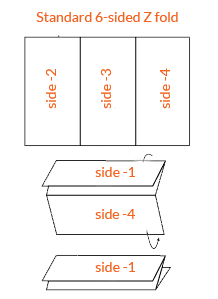 A brochure folded in a ‘z-pattern’Â usually meansÂ two identical and parallelÂ folds which ends up creating six separate panels of equal size â three panels on each side of the paper. Two of the folds are made in opposite directions, which forms a shape that resembles the letterÂ Z. when the brochure is standing upright.Â Folding brochures in a z-pattern is a great way to relay step-by-step information to your customers or when telling a complex story that requires separate sections.